Our public tour is a great way to save money. 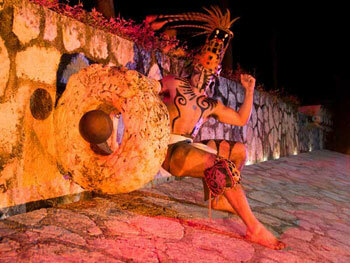 We pick you up at your hotel lobby and take you to Xcaret. Included is entrance tickets, all the animal exhibits, life jacket for the Underground River and the famous Night Show that runs every night from 7PM to 9PM.